Kolhapur: An elderly doctor couple was allegedly murdered by some unknown persons at their clinic in the district, police said. The bodies of Uddhav Kulkarni (65) and his wife Pradnya Kulkarni (62), hailing from Sangli, were found in their private clinic at Rukadi village under Hatkanangale taluka of the district by some persons. The clinic was closed on Monday and on Sunday. People thought it might have been shut because of the weekly holiday and load-shedding on Monday. 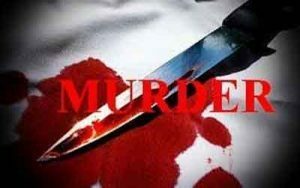 However, when the doors were opened, some persons found the couple dead with wounds on their neck and head, police said. Police suspect that the double murder took place on Sunday. A case has been registered, police said, adding a probe is on in the matter.